Michael Kors Holdings Limited, a globally known fashion luxury group, announced on December 15th, 2017, that it will no longer use animal fur in its products, with production being phased out by the end of December 2018. With this announcement, Michael Kors and Jimmy Choo have joined the international Fur Free Retailer Program. Designer Michael Kors announced that the upcoming runway show in February will present designs which will not include animal fur. Rather, they will feature technological advances in fabrications and creations of luxe aesthetics. 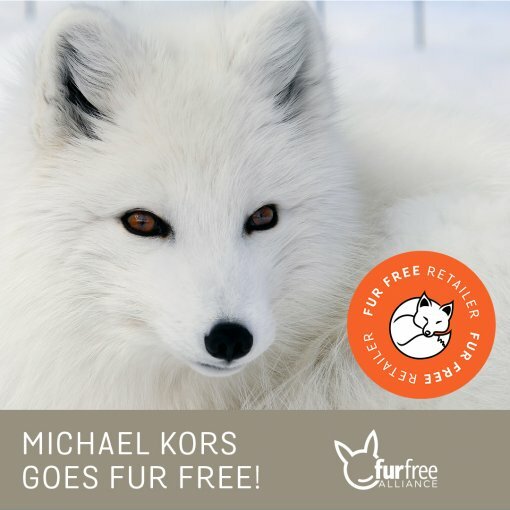 Viktoria Krcelic of Animal Friends Croatia (and a member of the Fur Free Alliance, which is conducting the Fur Free Retailer program in Croatia) has stated that the association commends Michael Kors's decision to make their business more ethical and humane, and that everyone should follow their lead. She adds: "The fact is that such news is becoming more frequent. It results in enthusiasm and great approval from the public, which shows that using animal fur in fashion is becoming a thing of the past. It is great to witness this, and we are inviting others to join Fur Free Retailer as well." With their recent fur-free decision, Michael Kors joins leading fur-free luxury fashion houses such as Gucci, Armani, Yoox Net-a-Porter, Stella McCartney, Ralph Lauren, and Hugo Boss. Croatian members and partners of the Fur Free Retailer program include: Budoir, Hippy Garden, I-GLE, Image Haddad, Mana moda, Martina Felja, Ivanka moda, and more.